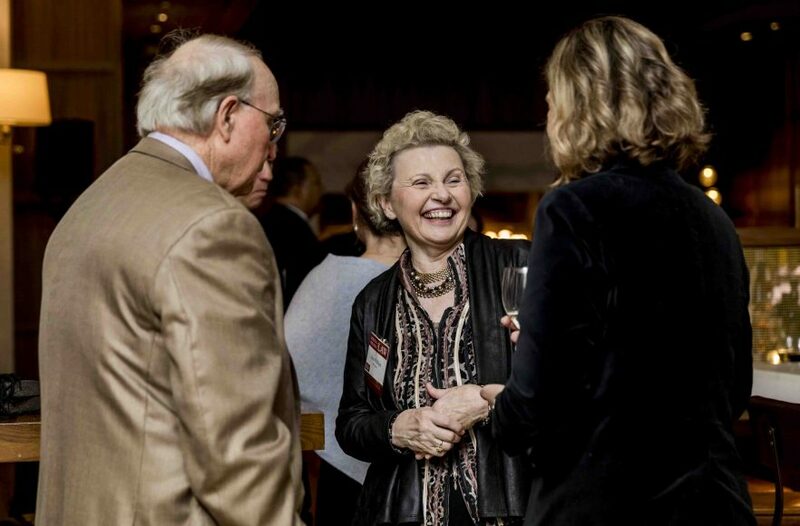 Happy times were here again during alumni weekend November 2 and 3. 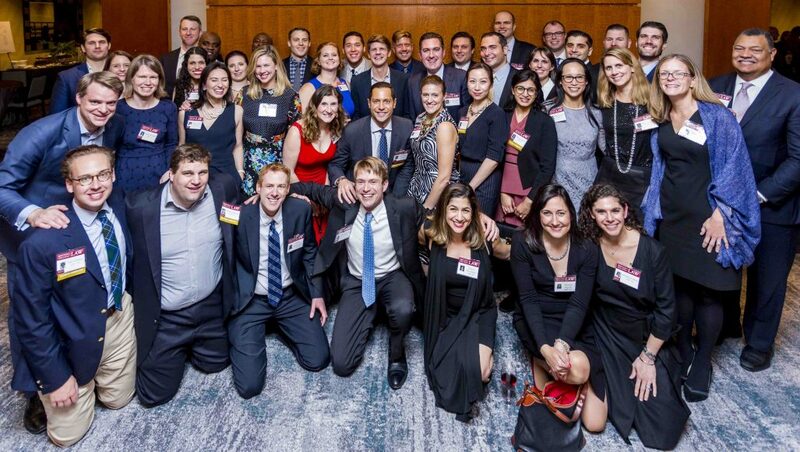 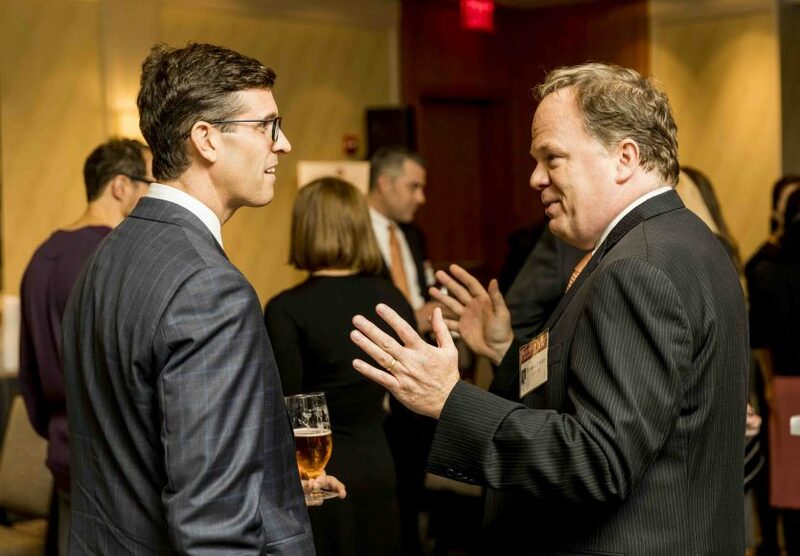 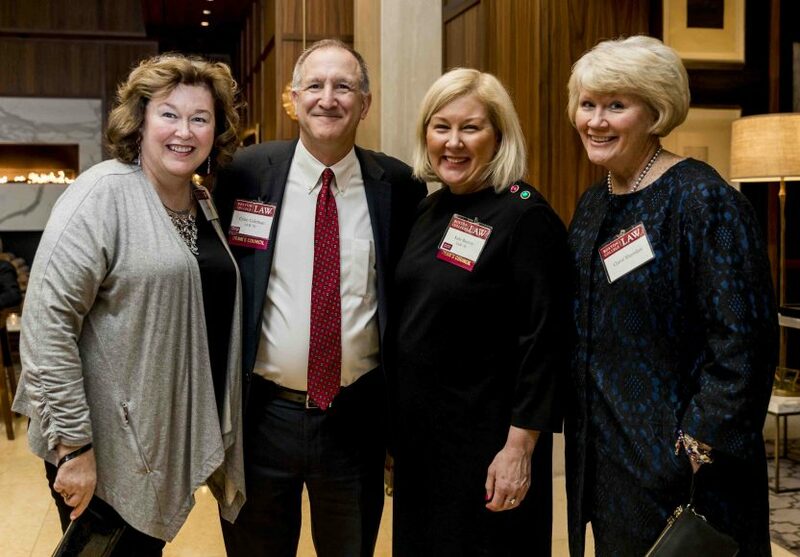 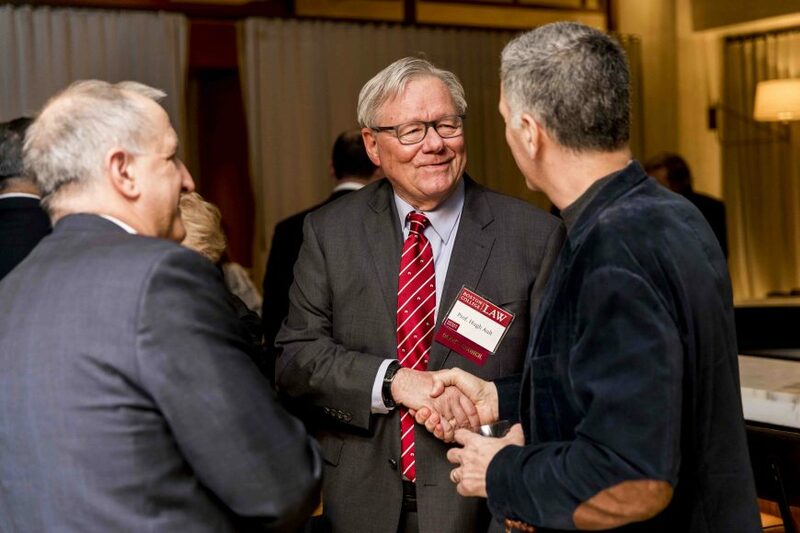 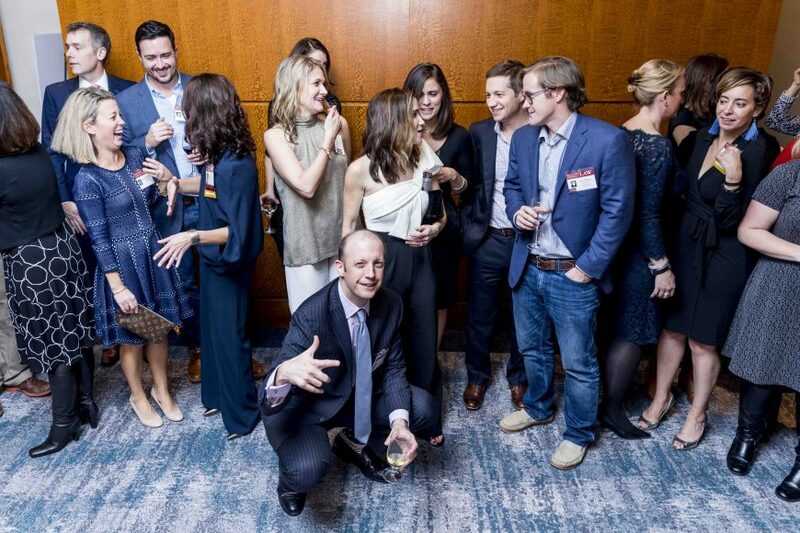 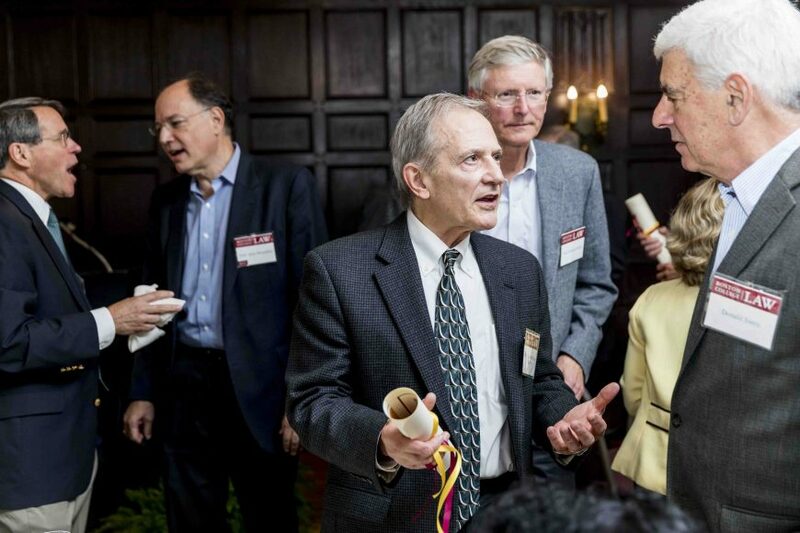 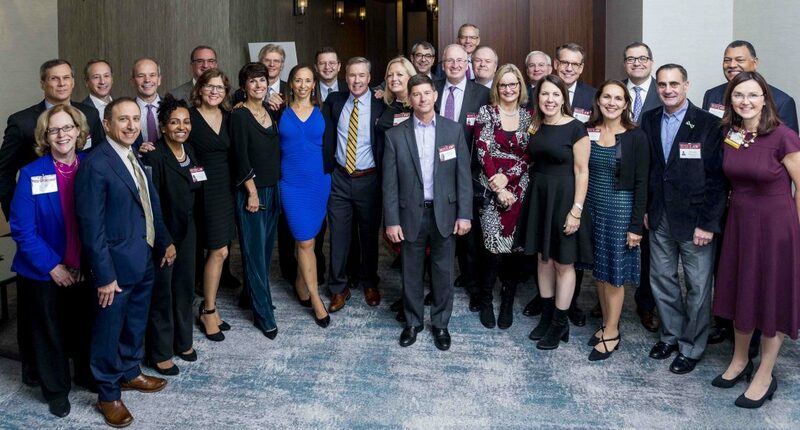 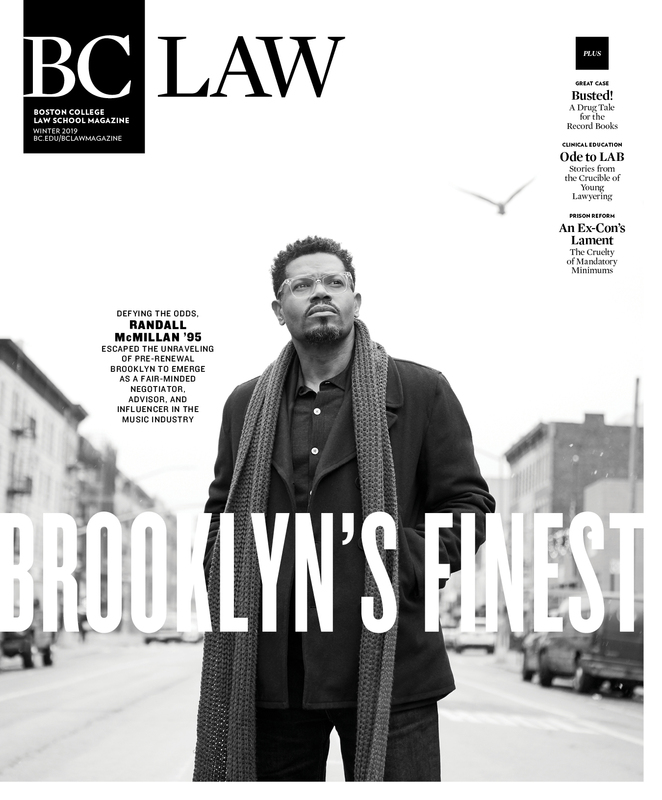 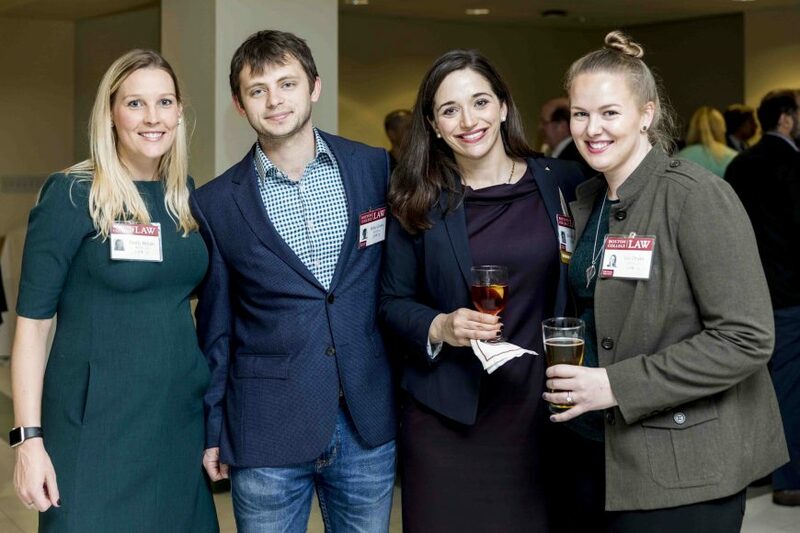 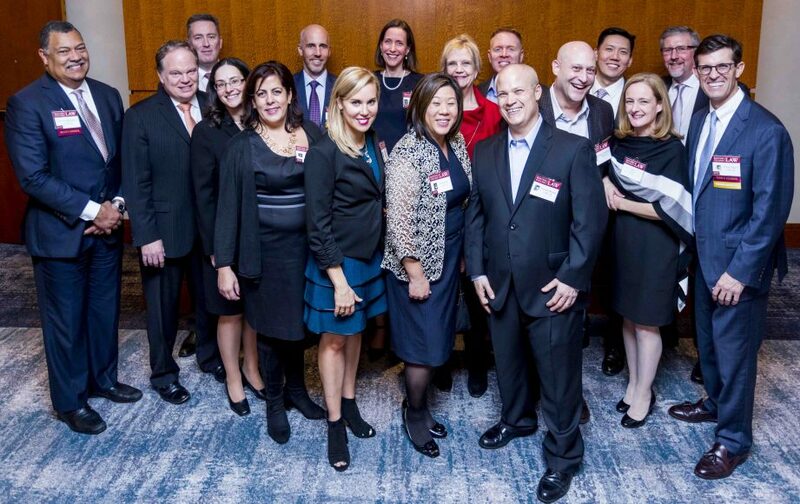 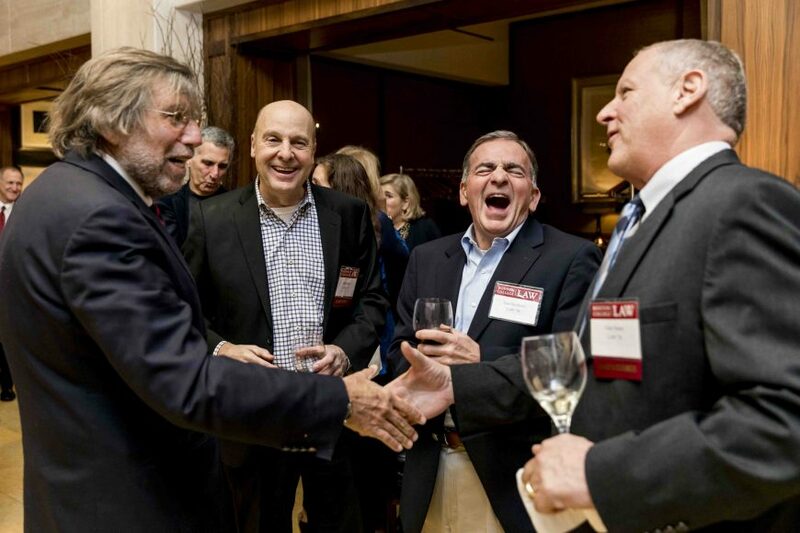 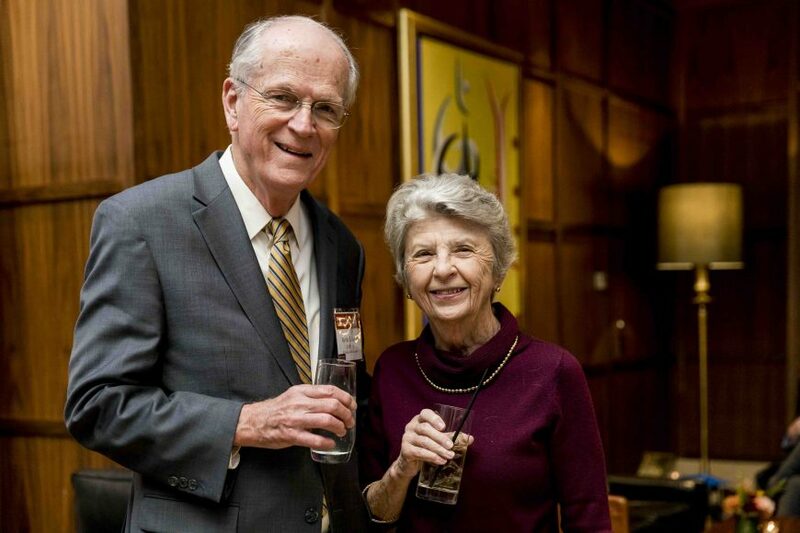 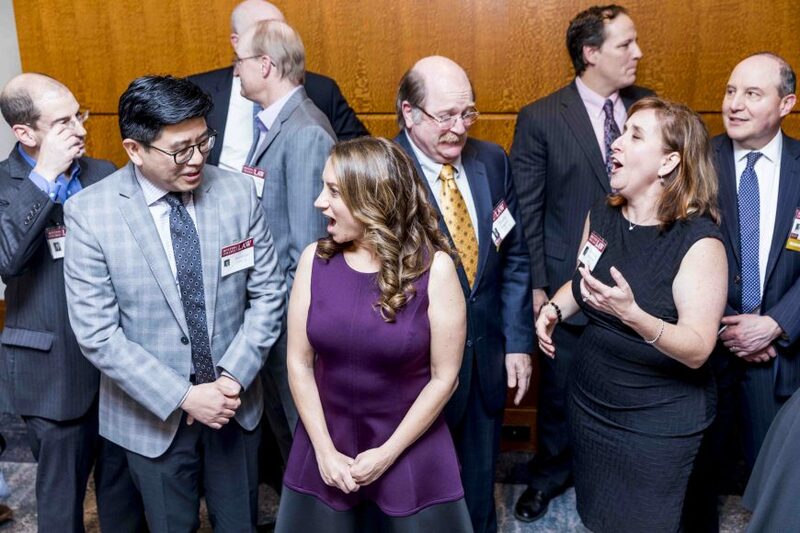 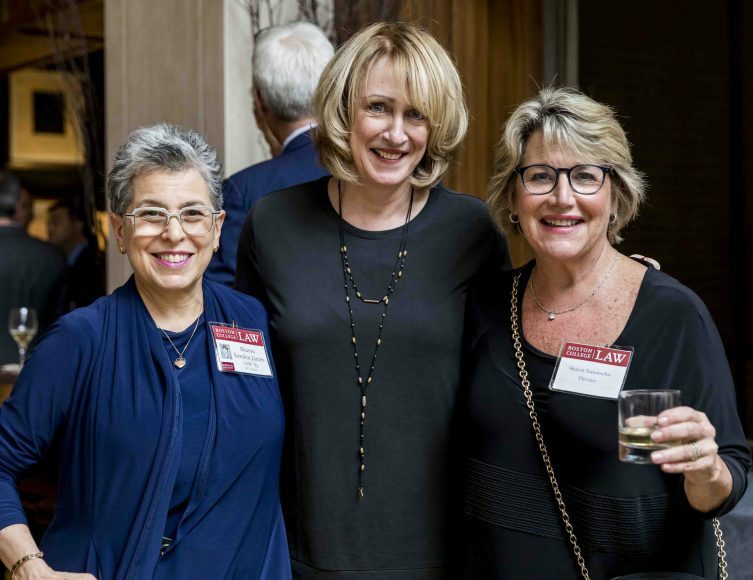 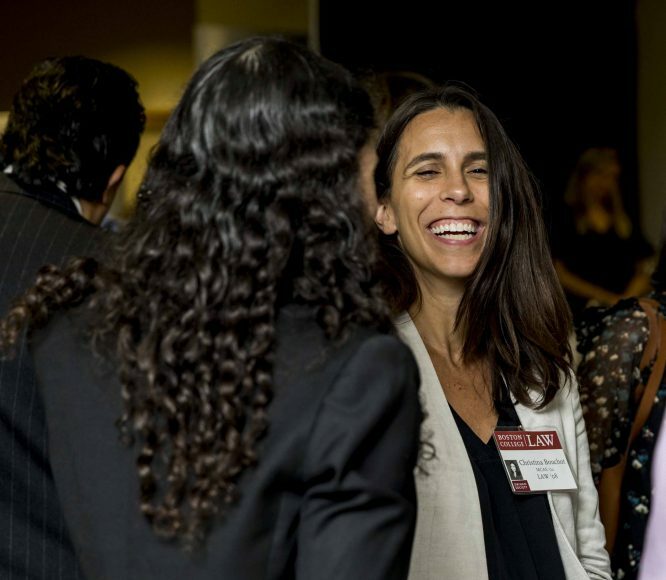 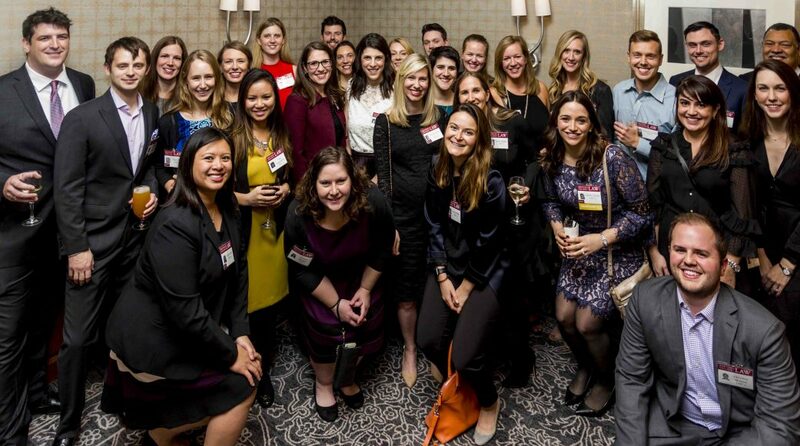 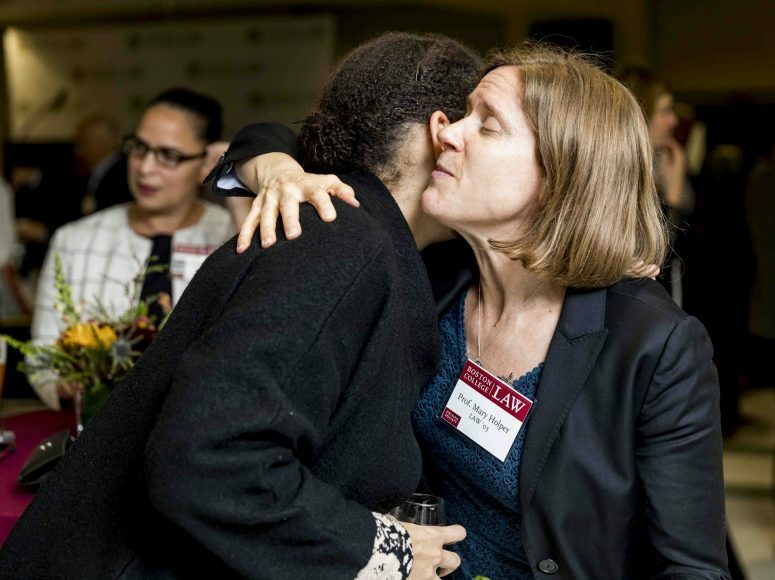 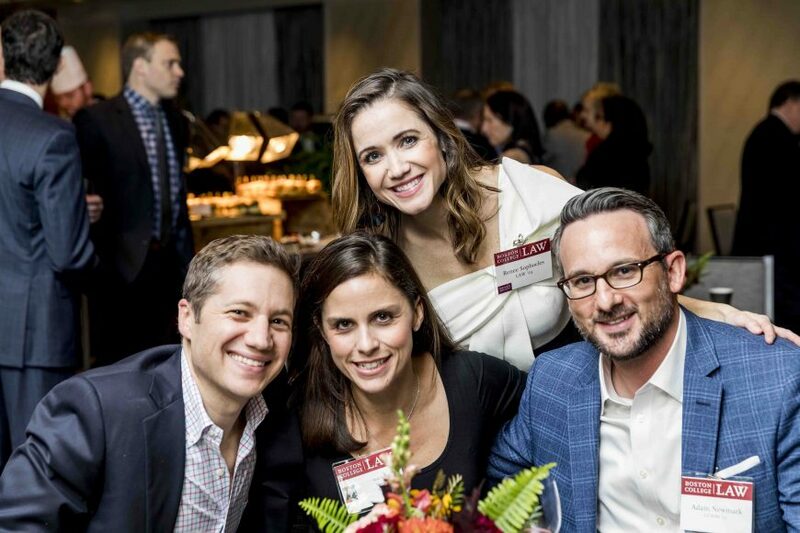 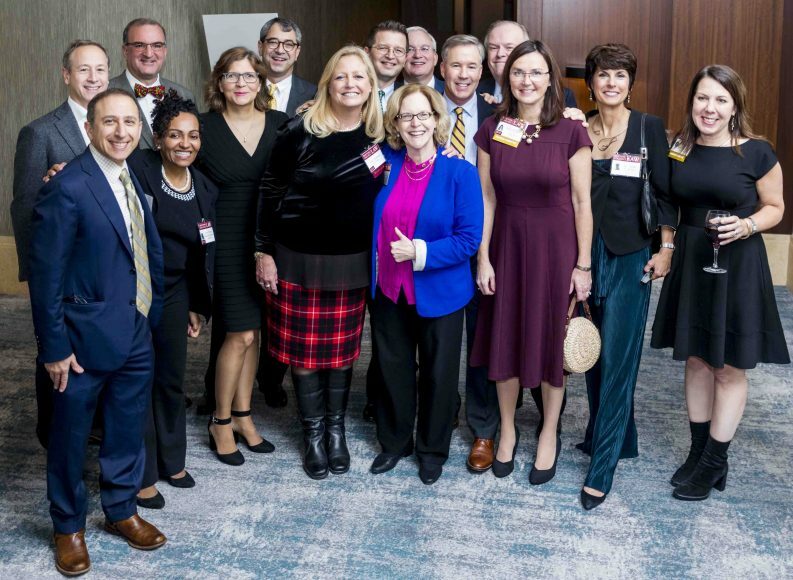 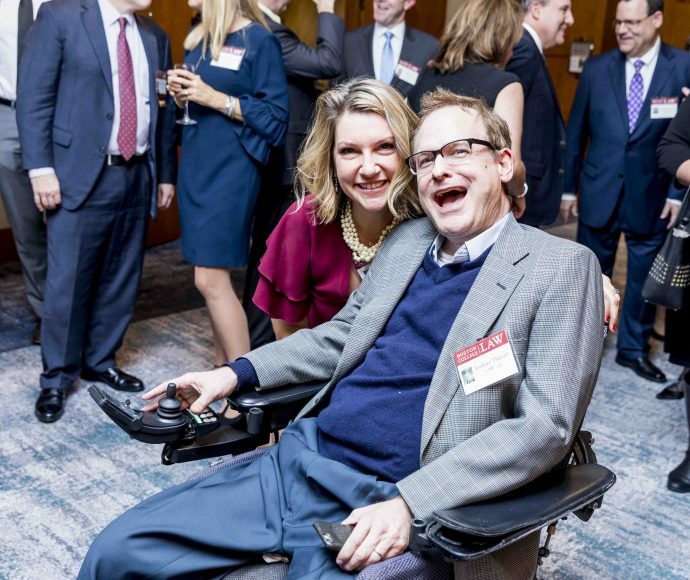 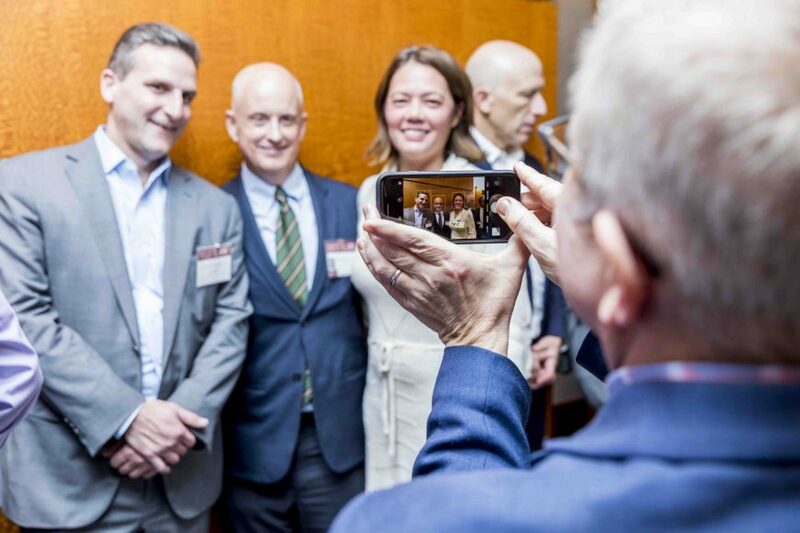 BC Law’s 2018 Reunion began at noon on November 2 and lasted until the wee hours of November 3 as some 500 alumni and friends descended on the Newton campus and the Ritz-Carlton for the festivities. 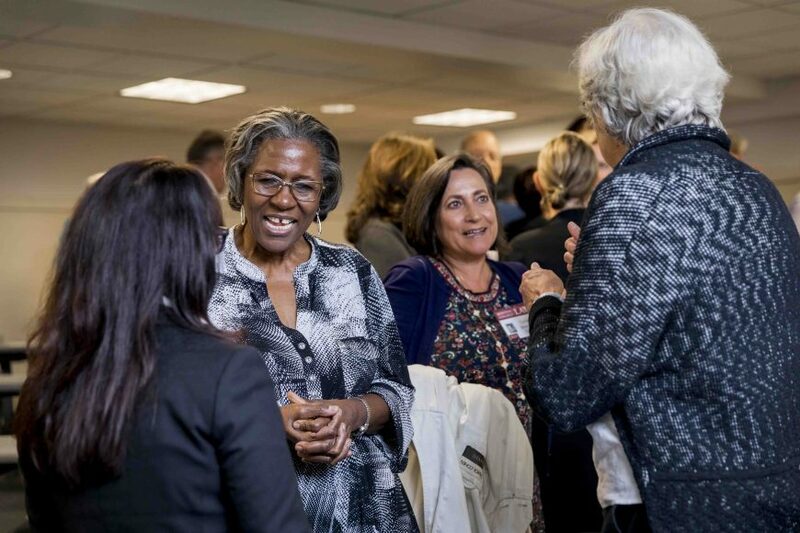 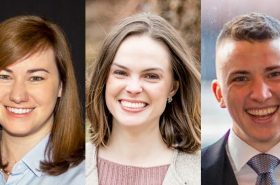 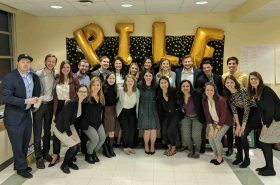 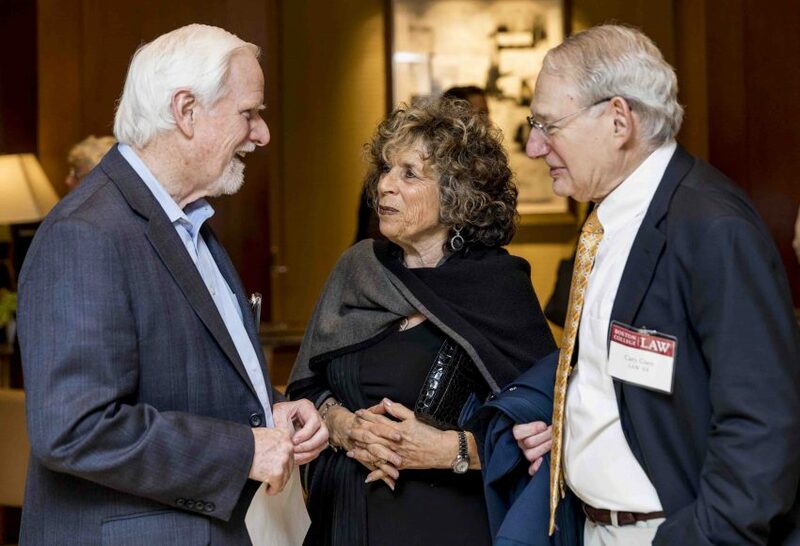 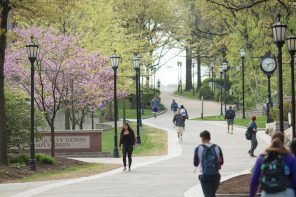 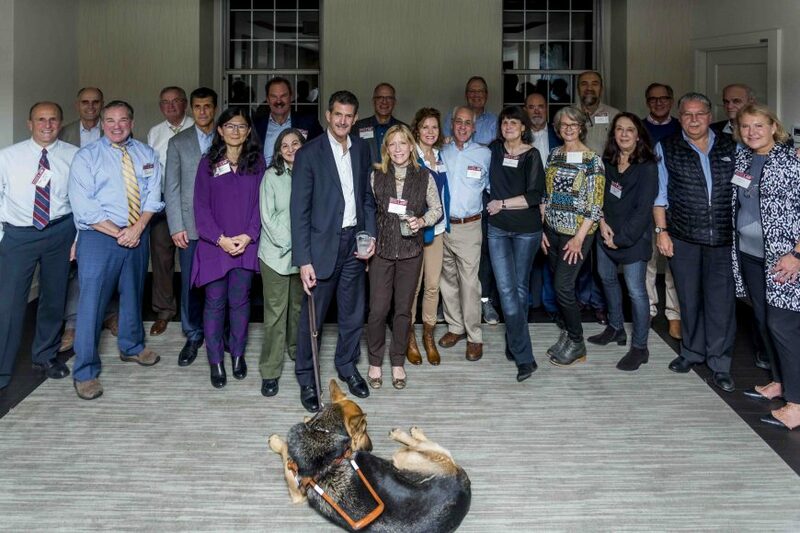 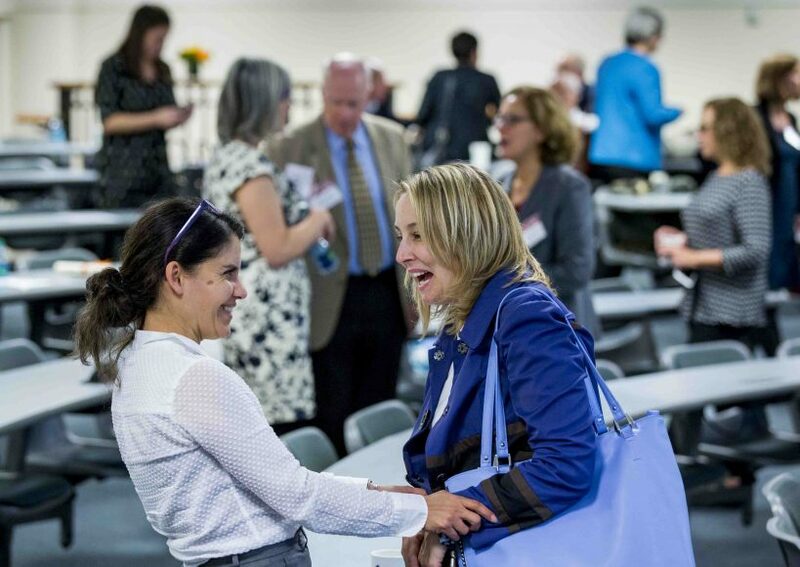 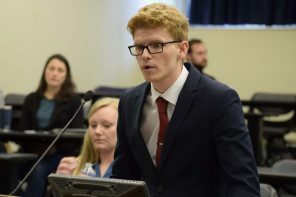 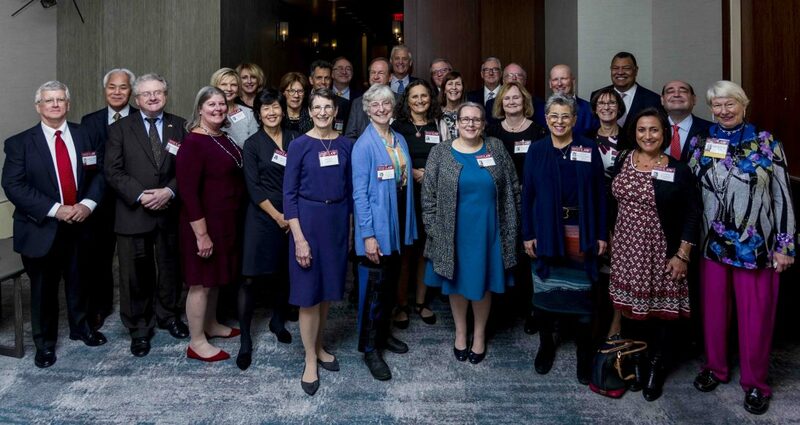 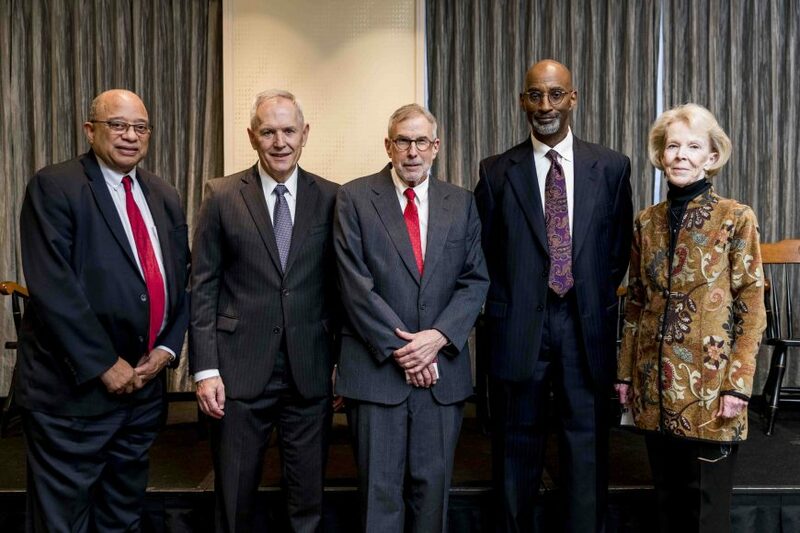 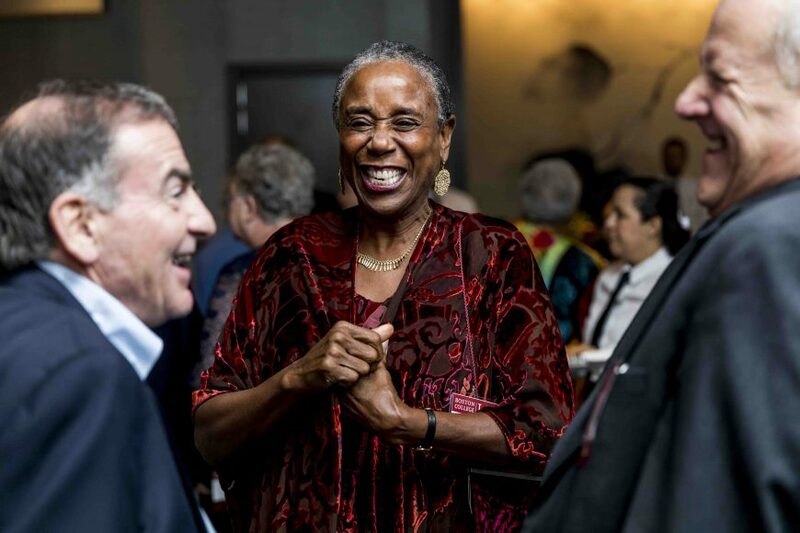 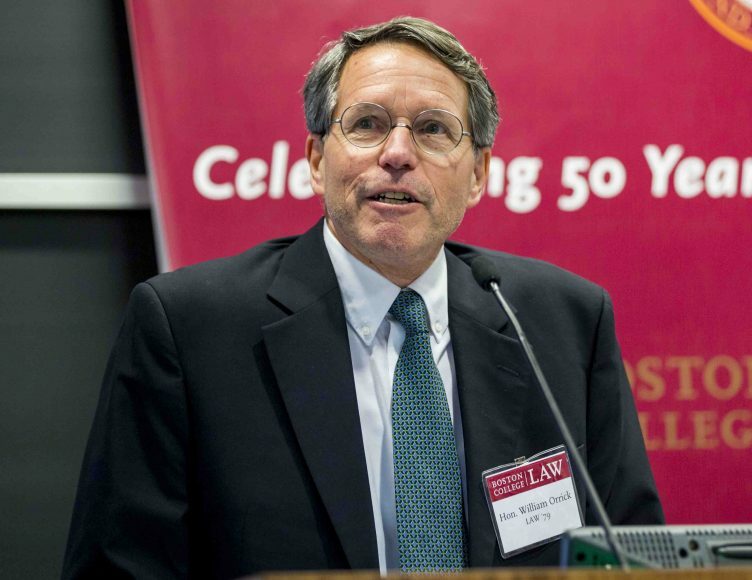 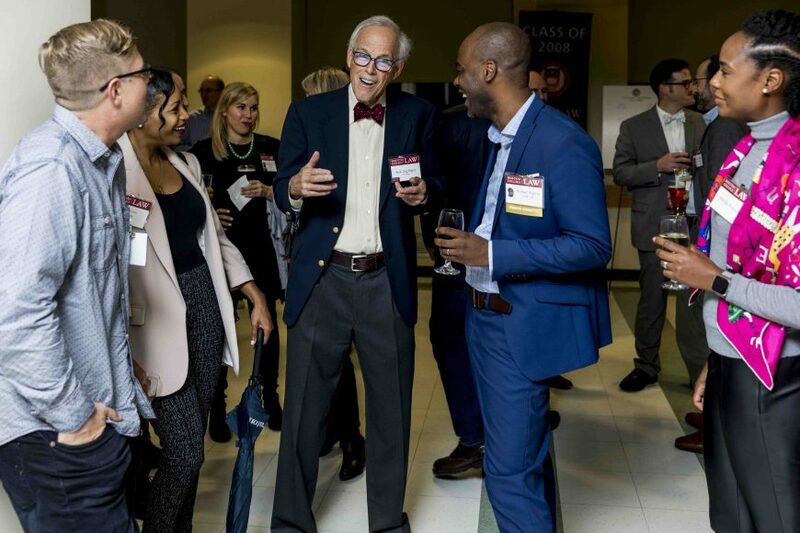 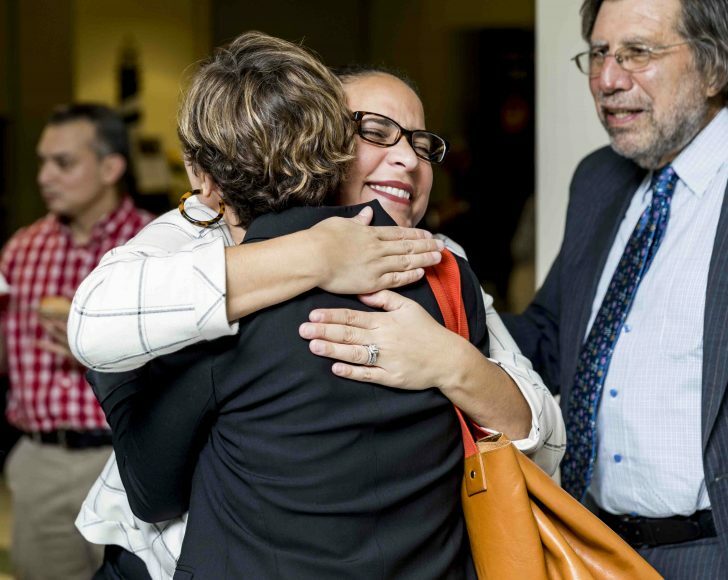 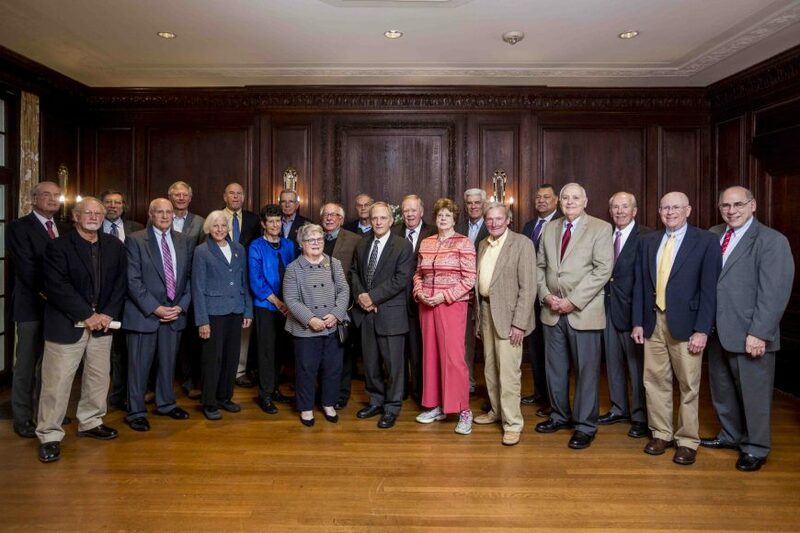 Friday events included a 50th anniversary celebration of clinical education featuring a luncheon for the founders of the Legal Assistance Bureau (LAB) and three hours of storytelling sessions by alumni and students of the Law School’s clinical programs. 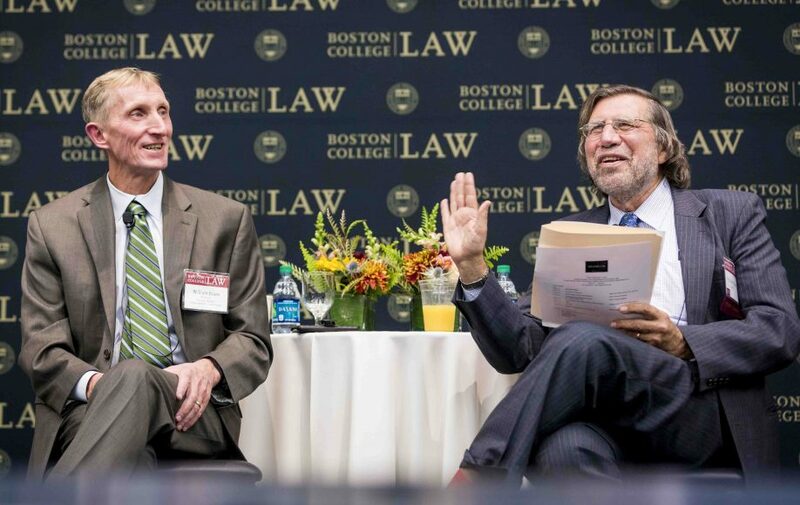 The Alumni Assembly hosted a conversation with William Evans, former Boston Police Commissioner and now Chief of Police at Boston College. 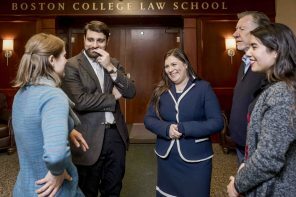 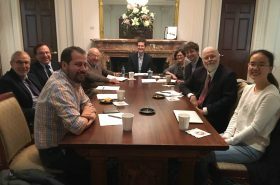 Sandwiched in between was a Rappaport Center for Law and Public Policy panel on how the disenfranchisement of criminals challenges democracy. 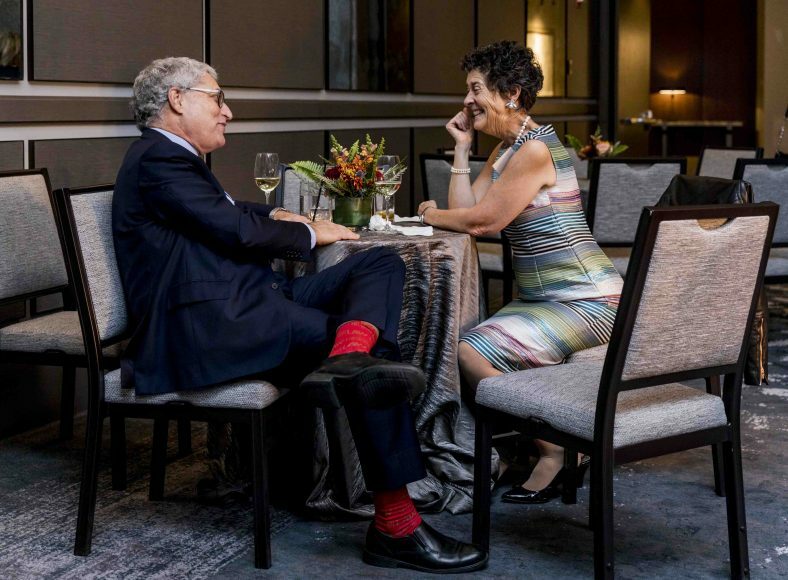 The day ended with a dinner and bar review. 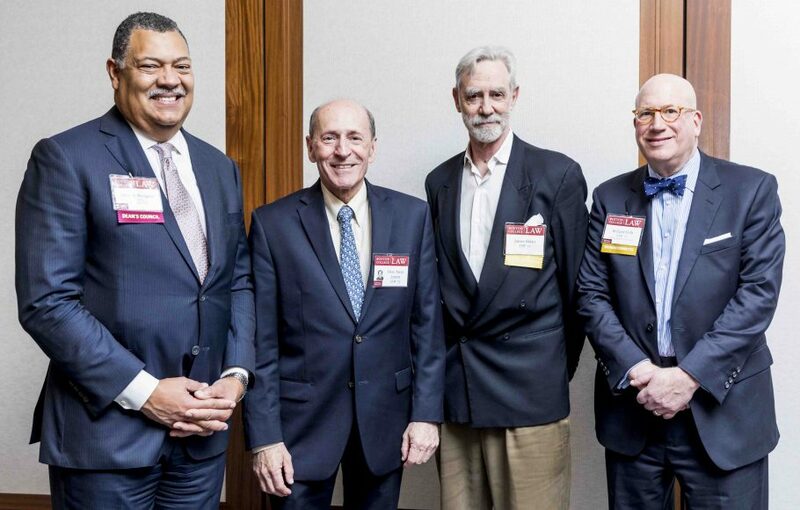 Saturday’s activities shifted to downtown Boston, where the Black Alumni Network held its annual meeting, and judges Paul J. Barbadoro ’80, George H. Foster Jr. ’83, Elizabeth C. O’Neill LaStaiti ’68, and Wilber P. Edwards Jr. ’84 offered perspectives from the bench. 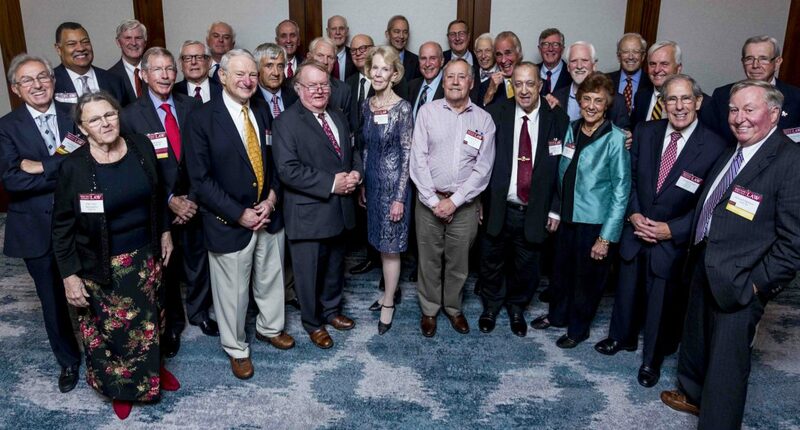 Then it was on to the Dean’s Council Reception, reunion dinners for classes ending in 3 and 8, and the half-century dinner for the 50th reunion class and alumni who graduated earlier. 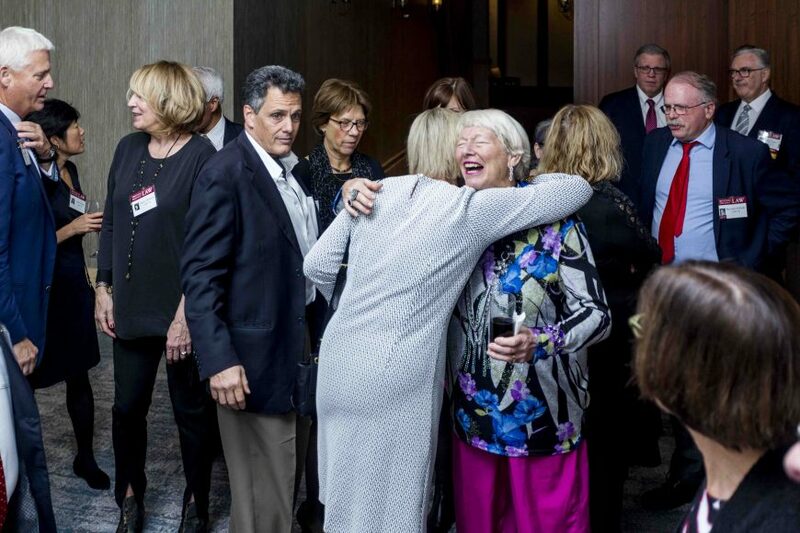 Discussions were animated, old friendships were renewed, and reminiscences were plentiful throughout the weekend.